Tina Turner was born Anna Mae Bullock and raised in Nutbush, Tennessee. From humble beginnings, Tina would rise to fame as the Queen of Rock n Roll and go on to sell more concert tickets than any other solo artist. First making a name for herself in the 1960s alongside then-husband Ike Turner, she became known for such hits as A Fool in Love, River Deep – Mountain High, and Proud Mary. After her abusive marriage came to an end Tina rebuilt her career and staged a major solo comeback in the mid-80s. In 1984 her fifth solo album, Private Dancer, became a global success. Some of her most popular songs include Let’s Stay Together, What’s Love Got to Do with It?, I Don’t Wanna Fight, and GoldenEye. Tina Turner has won a total of 11 Grammy Awards, and has been inducted into the Rock and Rock Hall of Fame. The movie based on her autobiography, I, Tina, garnered Best Actress and Actor nominations for Angela Bassett and Laurence Fishburne. Tina Turner currently lives in Switzerland and has worked with Stage Productions, Joop van den Ende and Tali Pelman to bring TINA: the Tina Turner Musical to life. American actress and Tony Award nominee Adrienne Warren (Shuffle Along, or, the Making of the Musical Sensation of 1921 and All That Followed, Bring It On) has been announced to play Tina Turner. 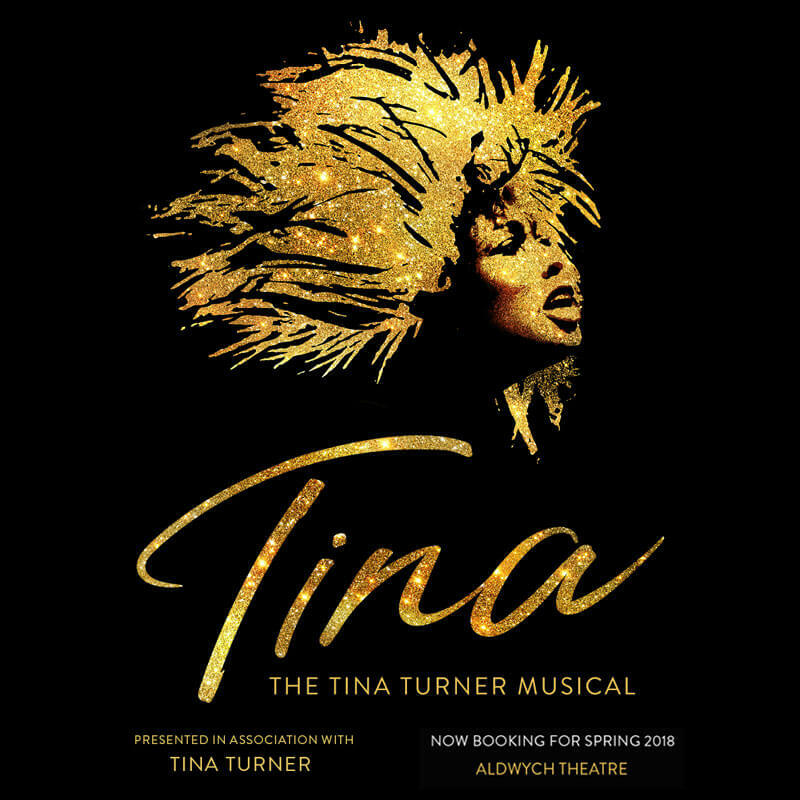 TINA: The Tina Turner Musical is being directed by Phyllida Lloyd, who directed the world premiere of MAMMA MIA!. It was written by Katori Hall with Frank Ketelaar and Kess Prins. Choreography by Anthony van Laast, set and costume design by Mark Thompson, musical supervisor Nicholas Skilbeck, lighting by Bruno Poet, sound by Nevin Steinberg and orchestrations by Ethan Popp. Starring Adrienne Warren in the title role along with Kobna Holdbrook-Smith as Ike Turner, Madeline Appiah as Tina’s mother, and Jenny Fitzpatrickas the alternate Tina.